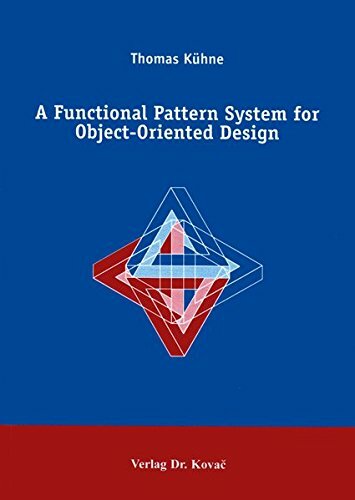 This book integrates the vital areas of object-orientation, functional programming, design patterns, and language design. The most important concepts from functional programming are captured with six design patterns. In this book, we are going to use ANSI-C to discover how object-oriented programming is done, what its techniques are, why they help us solve bigger problems, and how we harness generality and program to catch mistakes earlier. The intent of this book is to help the beginning designer by giving them a sequence of interesting and moderately complex exercises in OO design. This book can also help managers develop a level of comfort with the process of OO software development. This book shows how a set of object-oriented abstractions can be applied throughout the software construction process, based on three major ideas: seamlessness, reversibility, and contracting. Intended for software professionals and students. From the table of contents: Introduction - Objects and Classes; Polymorphism in Action; Immutable List Structure; Mutable Data Structures; Restricted Access Containers; GUI Programming; Labs; Resources - Java Syntax Primer.